Enlightened Therapies new radiant amethyst crystal and thermal energy therapy underlays, pods and pads or bio mats synergize 2 therapy components: Far-InfraRed Light and Amethyst Crystal Energy delivering Core Activation Therapy that deeply penetrates to support restoration and maintenance of core temperature, for better health and well-being. 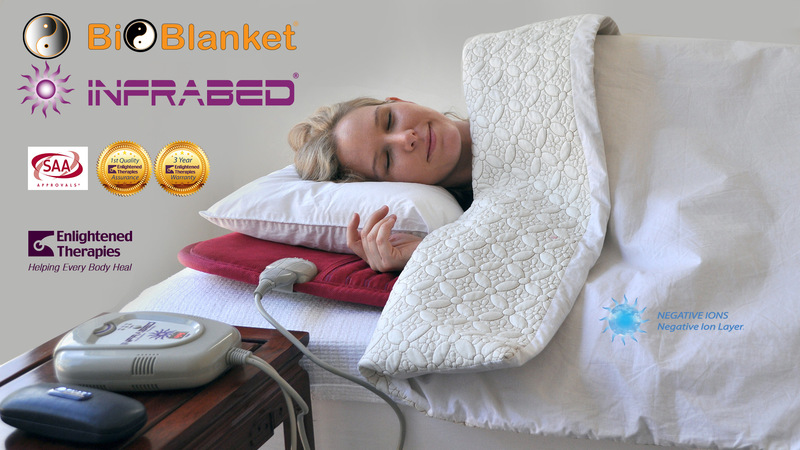 is not a registered therapeutic medical device yet and so any use with any medical condition should have your doctor’s OK. InfraBed is a CE quality assured and SAA Safety assured thermal therapy device made for use in Australia. PLEASE NOTE: The InfraBed is NOT a listed ARTG therapeutic medical device. It is not formally university researched, and so no therapeutic claims are made for it, except by way of comparison in regard to other traditional and/or modern allopathic results reported for simple thermal therapy.